Theodorus (Theo) Molkenboer was born in Rijnsaterwoude (ZH) on November the 6th 1796. His father was inspector of Nieuwveen en Zevenhoven, two reclaimed land tracts in the east of the Zuid-Holland province. Young Theo was trained as a carpenter and a brick-layer but in ca. 1822, the year he married, also worked as a contractor. In 1823 he was responsible for the construction of the fysical laboratory of Leiden university, probably his first assignment as a contractor. That same year he went to pursue further education at the evening school Mathesis Scientiarum Genitrix in Leiden, where he probably learned basic architectural skills. He operated as an architect since the late 1820's. His first assignments as an architect were in Leiden and surroundings, but in the course of the 1840's he had established himself as an architect of greater importance. 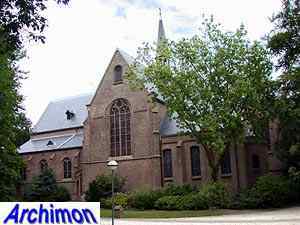 In 1843 he was appointed chairman of a commitee tasked to advise the archpriests of the provinces Noord-Holland, Zuid-Holland and Zeeland, the area that later became the diocese of Haarlem, in matters of church architecture. His contacts with the catholic hierarchy also resulted in assignments for three seminaries. 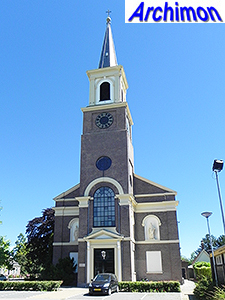 Although he designed buildings of various nature, foremost he was the first true church architect of the Netherlands; already in 1855 a publication mentioned he had built 70 churches, although today only a total of ca. 50 for his entire career can be identified. He was an architect who knew to build in a cheap way, leaving little space in time and expenses (and profit) for the contractor, and designed in any style the client wanted. His early works were designed in the then common neo-Classical style. In the 1830's he began to combine neo-Classical structure with neo-Gothic detail as typical for early neo-Gothic. These early churches show a lack of understanding of actual Gothic construction and proportions and feature mimic Gothic ornamentation, pinnacles especially, and wood and plaster vaults. His restoration of the medieval St. Walburg in Arnhem (1853-1855) turned out to be a disaster, when Molkenboer's attempt to resculpt the original pillars to his own taste caused a tower to collapse under its weight. 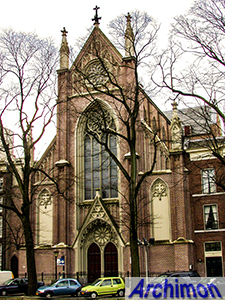 Molkenboer however was probably also the first architect in the Netherlands to build a more or less correctly proportioned neo-Gothic basilica, albeit with wood and plaster vaults, with his Redemptorist church in Amsterdam. Molkenboer's use of wood and plaster not only resulted in some ill-proportioned churches, but also in often unreliable constructions. After the rise of rational or true neo-Gothic, P.J.H. 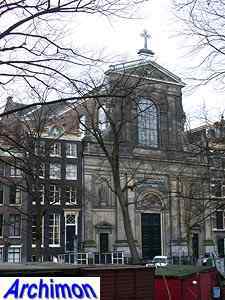 Cuypers took over Molkenboer's position of most important catholic architect. Many of his churches have been demolished, in some cases within a few decades after construction. Molkenboer died in Leiden on December 11th 1863. 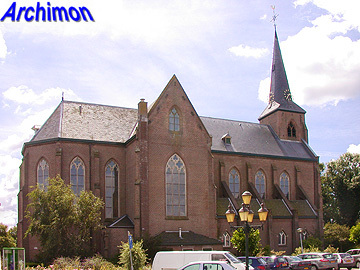 After his death several more churches were built under his name; the office was active at least until 1881, with the last known assignment being for a presbytery in Oud-Ade. Molkenboer was succeeded by his son J.Th.G. Molkenboer who called himself Theo as well, and some of the later works were most likely new designs by Molkenboer jr. Some sources mention the sculptor W.B.G. Molkenboer as the successor instead, but he was not one of Th. Molkenboer's sons but a cousin. Architect Th. Asseler was Molkenboer's nephew and was trained in his employment before becoming a self-employed architect himself in 1864. The following is a list of Molkenboer's religious work. It is incomplete. Aisleless chapel in neo-Classical style. In the late 19th century a new facade in neo-Gothic style was added. Details unknown. Rebuilt in 1929. Church in neo-Classical style. Destroyed by fire in 1933. Aisleless neo-Classical church. The tower was changed in 1892, while the choir was enlargered in 1896-1897 by J.H. Tonnaer. Three-aisled hall-church in early neo-Gothic style, with small tower at the front of the roof, behind the facade. Closed in 1934 and, after a drastic reconstruction, served as an indoor swimming pool. Demolished in 1979. Cruciform chapel in neo-Gothic style. Radiating chapels added in 1895. Probably Molkenboer's cheapest church. Due to bad foundation already demolished in 1866. 1846 is year of consecration. No further details. Church in early neo-Gothic style, with small wooden tower at the front of the roof. Demolished in 1981. Addition of transept and new choir. Three-aisled cruciform hall-church in neo-Gothic style, with rectangular choir. Tribune over the full width of the facade. On top of the tower a small wooden tower in neo-Gothic style with spire. Demolished in the 1930's. Church in neo-Classical style. Rebuilt into apartments in 1987. No further details. Demolished in 1877. No further details. Demolished in 1926. Church in early neo-Gothic style. Closed in 1930's and rebuilt into a youth-centre. Hall-church in neo-Classical style. Demolished in 1936. Neo-Classical three-aisled hall-church with pseudo-transept and tower. Addition of a transept and a new choir. 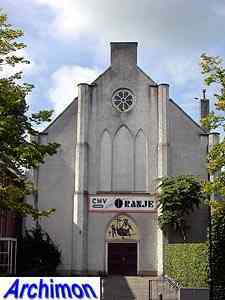 Three-aisled hall-church in neo-Gothic style, originally similar to the St. Martinus in Bolsward. Several reconstructions in 1926 and 1938 respectively. Three-aisled cruciform basilica. Considered to be the first large church in the Netherlands built in classic neo-Gothic style, despite its plastered wooden vaults. Molkenboer based his design on the Redemptorists church in Mons, Belgium. Three-aisled basilica in neo-Baroque style. Demolished in the late-1960's except for the front. Restoration of a 14th century church. 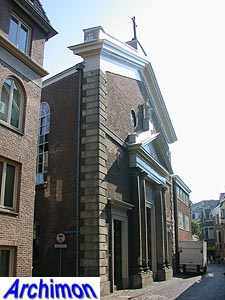 Molkenboer changed the sober interior of this collegiate church into a rich late-Gothic style; the resculpting of the rectangular pillars caused one of the two towers to collapse. This tower was rebuilt slightly differently. Also a choir was added. 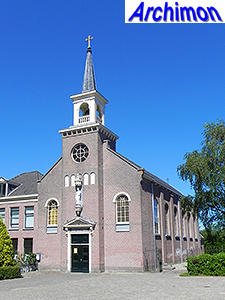 In 1944 the church was badly damaged, and except for the choir Molkenboer's changes were made undone after the war. Three-aisled church in neo-Classical style. In 1898 extended with transept and choir by C.P.W. Dessing. Demolished in 1955. Three-aisled church in neo-Classical style. Neo-Gothic cruciform pseudo-basilican church with transept. Tower originally with polygonal upper part, replaced by a taller square one in 1892. Church demolished in 1969. 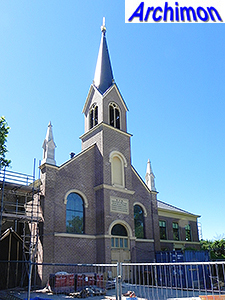 New front and tower, transept and choir in neo-Classical style for church of 1786. Facade similar to that of the church in Soest. Demolished in 1892. Neo-Gothic pseudo-basilican church with pseudo-transept. 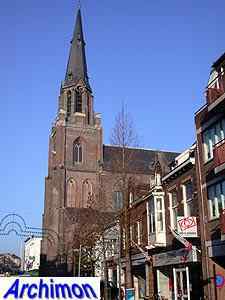 Molkenboer's first church with a tower in front of the facade instead of the earlier part-enclosed towers. Three-aisled ruciform church with facade in neo-Gothic style, with the width of the transept being almost as large as the length of the nave. Wide central aisle, low side-aisles. Demolished in 1954. Cruciform church in neo-Gothic style, with front flanked with polygonal turrets and a big square tower on the crossing. Church demolished in 1971. Three-aisled cruciform basilica in neo-Gothic style. Vaults of plastered wood. Choir with ambulatory. A medieval tower is incorporated but hidden behind a new layer of brick and heightened with an octagonal segment. 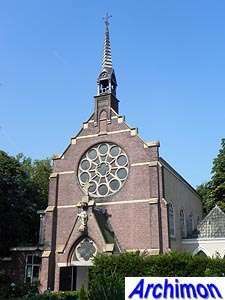 The St. Lambertus was Molkenboer's only church in the south of the country, and was his most expensive. 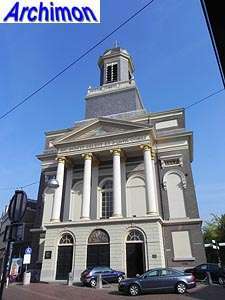 Neo-Classical church with sandstone facade, inspired by Roman Baroque. Three-aisled nave. Aisleless church in neo-Gothic style. Demolished in 1934. Aisleless church in neo-Gothic style. The tall facade with short turret on top suggested a three-aisled interior. Demolished in 1938. Aisleless church in neo-Gothic style., with facade with stepped gables and half-enclosed tower. Demolished in 1867. Three-aisled cruciform pseudo-basilica with Romanesque details. Aisleless cruciform church in neo-Gothic church, possibly incorporating an older (1810) tower. In 1925-1926 side-aisles were added by C. Estourgie. One-aisled cruciform neo-Gothic church with tower with octagonal upper segment. Designed in conjunction with a German architect named Pelzer. Three-aisled neo-Gothic pseudo-basilica with narrower choir and a tower of two square and one octagonal segments. 1860 is year of consecration. Three-aisled church with rectangular choir. Three-aisled pseudo-basilica in neo-Romanesque style. Three-aisled cruciform church in neo-Romanesque/neo-Gothic style. Radically enlarged by A.C. Bleijs in 1882-1883. NThree-aisled church in neo-Romanesque style. New transept and choir in 1912. Addition of a choir and transept. Demolished. Three-aisled pseudo-basilica in simple neo-Classical style. Three-aisled pseudo-basilica in neo-Gothic style, a lengthened version of the church in Warmond. Tower added in 1865, probably designed by J.Th.G. Molkenboer. Demolished in 1956. No further details. Aisleless church in neo-Romanesque style, with enclosed tower. Aisleless church in neo-Romanesque style, with short partly enclosed tower. 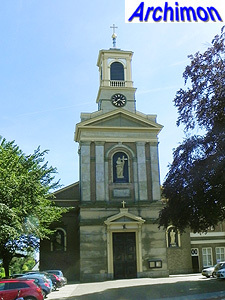 Aisleless church in neo-Classical style, with neo-Romanesque details.